Carpet cleaning is a service that is necessary if you want to keep your carpets clean and soft. Our expert staff at Steam Choice Carpet Care offers carpet cleaning services that can keep your carpets looking their best and lasting longer. We have experienced staff that is always being trained on the latest and greatest techniques to treat your carpets. 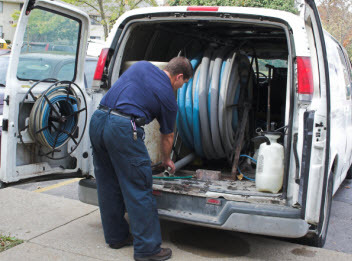 Our equipment is top of the line and we strive to offer great customer service and leave each of our customers satisfied with the service we rendered. Steam Choice Carpet Care values our customers and want to inform every one of all the benefits that come with having your carpets cleaned on a regular basis. 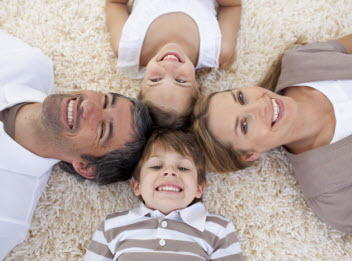 The great thing about your carpets being cleaned on a regular basis is it can help to extend the life of your carpets. When your carpets are being walked on and used on a regular basis they are collecting dirt and debris. These can end up sticking to your carpet fibers and eventually collapsing them all together. This will take away the carpets plush feel and can lead to replacing the carpets sooner than necessary. Our carpet cleaners can help to remove the dirt and debris before the carpet collapses and leave it feeling good and comfortable. Another added benefit to using our carpet cleaning service is the stain removal. We offer treatments to help to pull stains from the carpets and leave the spot looking the same color as the rest of the carpet. Some stains are extremely hard to remove and treat and are only removed when a professional carpet cleaner does the work for you. Stains such as red juice and chocolate can be a real pain to remove. Our professional top of the line equipment is manufactured to get deep down in the stain and remove it, leaving the carpet looking its very best. If you are like many Americans and own a pet that spends time in your home you are going to benefit from carpet cleaning services. A pet stain comes from an accident that has been left to sit. The problem is that even if you are able to treat the spot, the odor is still going to linger. The high pressure suction that it requires to get deep in the padding is only found with professional carpet cleaning tools. The problem that comes from pet stains is that they are very acidic and that can cause some serious damage to your carpets. Using a professional carpet cleaner can help to treat the stains and leave the carpet cleaned and the room smelling good. If you want to benefit from professional carpet cleaning call Steam Choice Carpet Care to have your carpets cleaned and all the stains treated and removed.